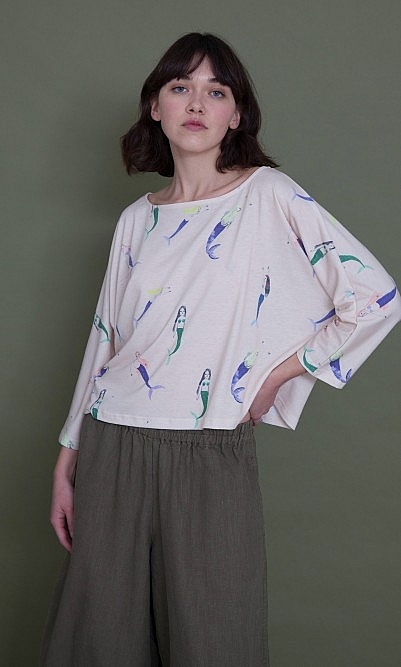 Jersey top printed with mermaid print. Wide, boxy shape with cropped sleeves and slash neck. L48cm. Fabric and care: 60% Polyester, 35% Rayon, 5% Spandex. Cool machine wash. 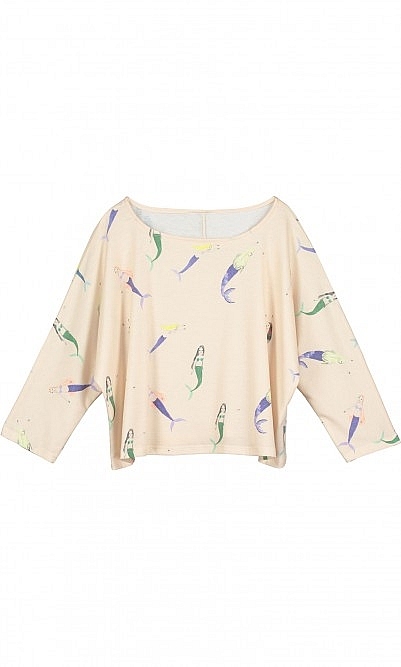 This is a lovely, comfortable top; the drawings of mermaids are appealing and elegant. I am a 14/16, and the size Large fits perfectly.